Roughly three years ago we used the money we got from selling an old chicken coop to pick up five blueberry plants. 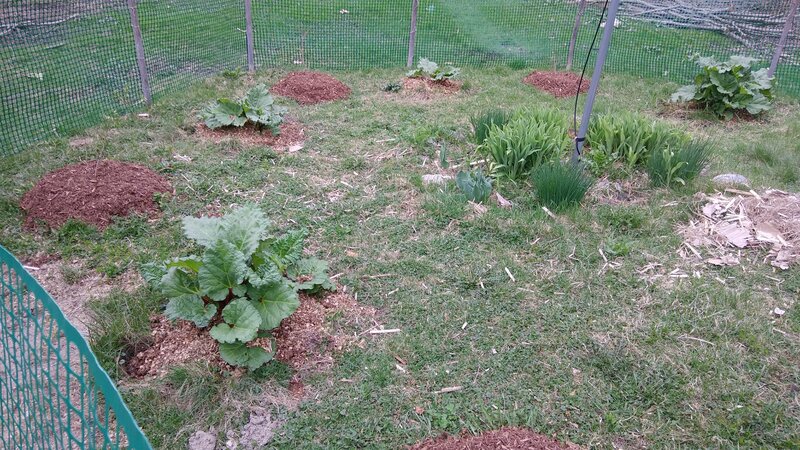 I planted them in a horseshoe around the antenna and planted rhubarb between them. The flower bed beneath the antenna is home to daylilies, tulips, and chive, making the little area a cute spot to sit and enjoy. Unfortunately the chickens have stripped the plants of foliage and mulch every year. I’ve had it. I demand blueberries from my plants. 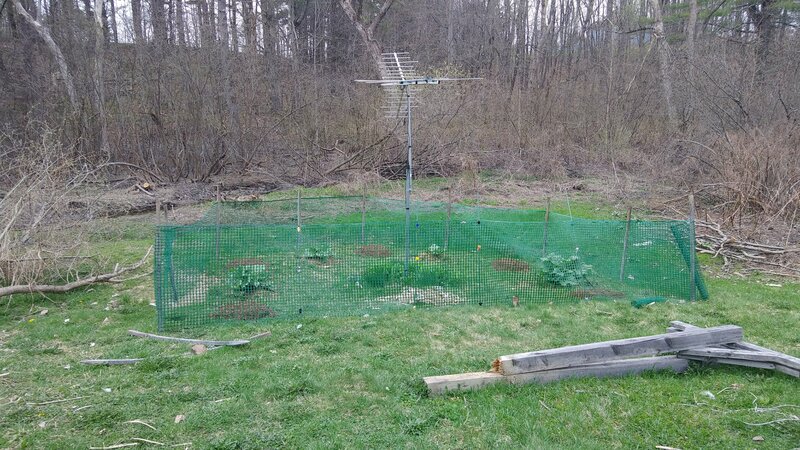 This year we’ve decided to put up a temporary fence. The green garden fencing is new, but the posts are reused from another garden bed, one which will be seeing new fencing this year. 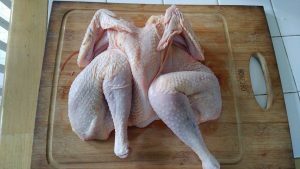 All the plants – rhubarb and blueberries alike – were treated with 3-4″ of aged chicken compost. 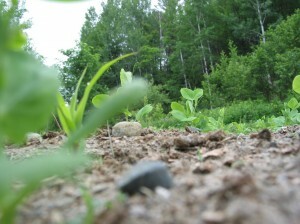 The blueberries also recieved about 4-6″ of pine mulch. I’m hoping, between the mulching and fencing, we’ll finally see something from our bushes. There’s still some cleaning up to do, and I doubt the little flower bed will get much attention this year, but it’s a start! The kicker is that I’ll have a poop-free spot to sut abd read this summer. Yesterday was Imbolc. 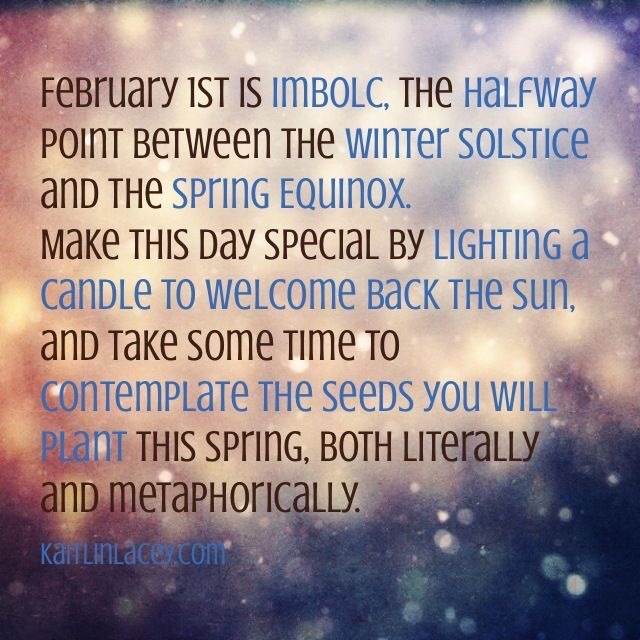 I count Imbolc as the beginning of Spring, as do many pagan and heathen traditions. It’s the beginning of planting season for many, as we prep and start the seedlings and dreams will become this season’s gardens. It’s a time to fight back the cold of February by tending the fragile new life growing on your windowsill. What will you be starting in the garden? 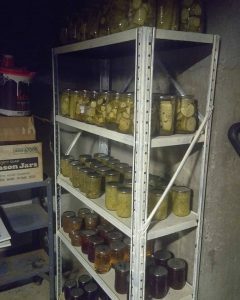 For projects? For personal growth?